The staff is so friendly and I never have any issues with noise or getting work orders done. They really make me feel like I’m at home here. Thank you for your review! We are so glad to hear that you are enjoying your stay with us. The ladies in the office are top notch and really care about the residents. The place is relatively quiet with no drama and that is what we love about it! Thank you for your review! We try to make everyone's experience great at Papermill Square. Please let us know if there is anything we can do to help make your stay even better! Thank you for your review! We do love our four-legged residents just as much as the human ones! We are so happy you are enjoying your time here. The staff earns their pay every day here. Unlike a business like cable TV where you are the only game in town and you can get by with phoning it in most days. This is a great place! We are so glad that you are enjoying your stay with us! Please let us know if there is anything we can improve on. I like living here. It’s quiet and feels safe so I don’t have to worry about much. My apartment seems a bit old but if I have trouble with anything, it’s usually fixed within the next couple days. We are so glad that you are enjoying your home! We do our best to take care of all of our residents in a timely manner and we appreciate residents like you that take the time to acknowledge us. Please let us know if there is anything that we can do to make your home better. 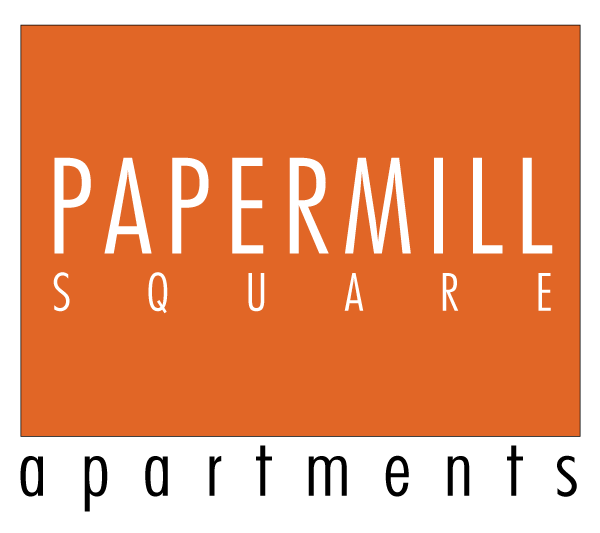 I have had a great experience so far, and I have very much enjoyed living at Papermill Square. The staff is so friendly and always very willing to help! Thank you for your review! We always try to make sure everyone is treated well and taken care of. Please let us know if there is anything we can do o maintain your experience with us! Thank you for the kind words. We are so glad that you are enjoying your home at Papermill Square! i love living here! i'm close to work, the location is central to everything convenient, and the apartment itself is a great value for what's included. the neighborhood is quiet and peaceful, and i genuinely feel safe and comfortable here. that is so important to me and i'm so glad i've found it here! Outstanding environment the management team works very well and hard to give the residents and future residents the resources and help they need. Thank you for the acknowledgement! We are so glad that you call Papermill Square "Home". We are SO happy to see you and your pups! Please let us know if there is anything we can do to make your stay even better!! The residents are all friendly and mindful! The management is great and everyone is so polite. Every maintenance request I’ve had has been completed in a timely fashion. We are so happy that you enjoy your apartment home. Thank you for your review! Very nice neighbors, apartment is kind of small for me but I'm fine with everything. Very friendly staff, glad to have washer and dryer. I just wish you could load laundry cards over internet. Great management, clean apartment, easy move-in process and a lot of good deals! The staff is quick to answer any questions I had and I couldn’t be happier as a first-time renter. We are so glad that your first renting experience was a good one! Please let us know if there is anything we can do for you. The staff are absolutely wonderful. Can’t say enough good things about them. The complex is average, some buildings molding. Apartment (1br) is nice, once maintenance needs were fixed upon moving in. Love seeing dogs around. Can’t wait for warm weather to utilize the amenities like pool and tennis court. Smell smoke often and weed occasionally from neighbors. Overall good experience. Thank you for your review! Please let us know if there is anything we can address to make your stay with us better. Decent community. Has a pool but no gym. Has community washer and dryer in every building but it's a little pricey. Overall a good living environment. Thank you for your review! Please let us know if there is anything we can do to make your stay better! Since the day we inquired about moving in here the staff has been so sweet to us. They are so helpful and kind. The apartment is very spacious and our neighbors are kind! Been living in papermill square approximately 2 years and I have loved it! That being said here are the pros and cons. Pros. Friendly office staff, convenient location, plenty of parking and well kept property. Cons. No washer / dryer hookups and a little pricey for the features/size. 8/10 because it is a good apt complex. Thank you for your review! Please let us know if there is anything we can do for you! Thank you for your review! Please let us know if we can do anything to make your stay improve! The management staff is amazing and they treat your pet as part of the family! They do their best to make sure everything and everyone even the fur babies are taken care of also!! We love having you and Kody come and visit us! Please let us know if you ever need anything! Worth the move! Thanks for all your help! the 3 of us are in a better place now! Love the two bedroom with all the extra space! Parking is a breeze down here. We are so happy you enjoy your new apartment! Please let us know if you have any issues. I love that they have a recycling bin. Which may not be a big thing for some people but it was the tipping reason I decided on Papermill. Not to mention the great customer care rates (which have proven to be spot on since I moved here in June.) it’s not like there aren’t issues but I really like that if I have a maintence problem they’re on top of it very quickly. Also, they’re good about letting me know if there is a reason for an issue or when it’s been seen to. I love this place. We strive to always make our resident's happy! We are so glad you enjoy living here with us! Please let us know if there is anything we can do for you! I love this apartment complex and the people that live here. Everyone is so friendly and considerate. It is in a great location in town and it is almost always quiet. The ladies in the office are always very helpful. They really care about the tenants and take care of us! We love having you here! Please let us know if there is anything we can do to make your stay better please let us know! I love my home at Papermill square. My neighbors are nice. The community is quiet and calm. I love the basketball and tennis courts as they help me stay active. Thank you. We are so happy you enjoy living here with us! My resident experience since moving to Papermill Square Apartments in October, 2018 has been contently satisfied. The complex is clean, quiet, and very conveniently located. We are so happy to hear that you are enjoying your time with us! Please let us know if you ever need anything! It’s great living here! Great location to most things in this area and it’s quiet! Being by the interstate can be a little noisy when the semis jbrake but you get used to it. It’s a little dated but they are fixing what they can! Thank you for your review! We try to always maintain our property to the best of our ability so our residents can feel at home! Please let us know if you ever have an issue.